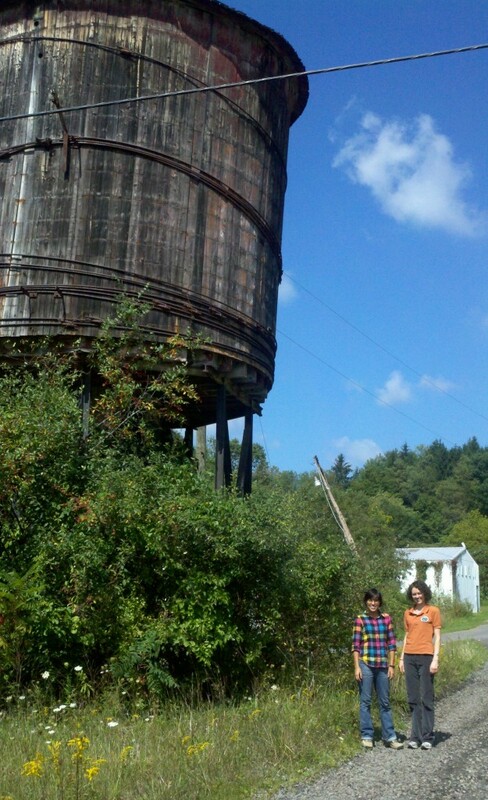 Friends of the Cheat has received a donation of property including the historic wooden water tower associated with the former West Virginia Northern Railroad. Stanley Hostler has donated approximately 2.5 acres of land and the water tower to the non-profit organization which is seeking to facilitate the revitalization of the properties associated with the former railroad into a public park and trailhead for the future Kingwood to Tunnelton rail-trail. Mr. Hostler’s donation was motivated by the renewed community interest in the brownfield sites. Kern Valley Railroad still retains ownership of the main shop buildings and railroad corridor. Friends of the Cheat has been pursuing the purchase of the Kern Valley Railroad properties for nearly ten years. FOC’s new OSM/VISTA (left), Aubrey Harris, stands with Appalachian Coal Country Team Northern Coalfields VISTA leader, Katie Coulter, next to the historic tower which is believed to be over a century old. Friends of the Cheat is working closely with the Preston County Parks and Recreation Commission (PcPARC) and Preston County Economic Development Authority to advance the development of the properties located off Sisler Street in Kingwood. The group held two brainstorming sessions in July to gather public input in an effort to develop a re-use plan for the properties. 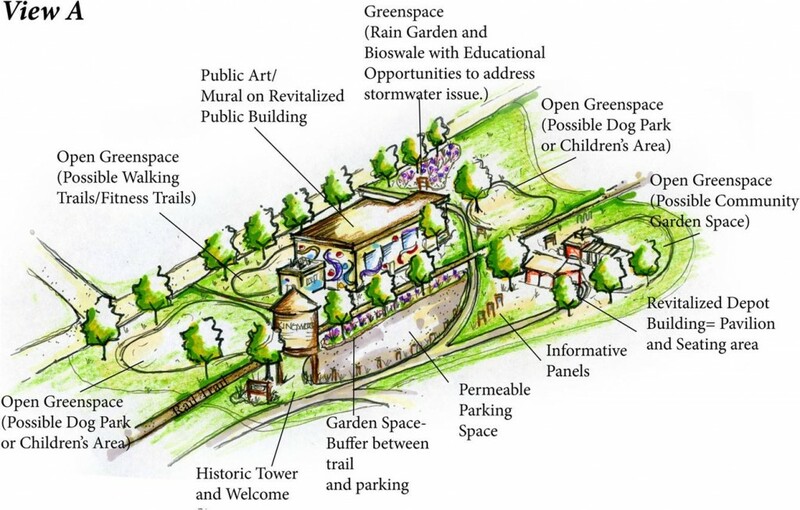 Ideas include a trailhead and associated amenities for the future rail-trail, a dog park, community garden, and open air market for farmer’s markets, live music, and other community events with an underlying focus on highlighting the rich history of the railroad and how it shaped Preston County. Friends of the Cheat’s first action will be to work with Preservation Alliance of West Virginia to stabilize and restore the water tower. 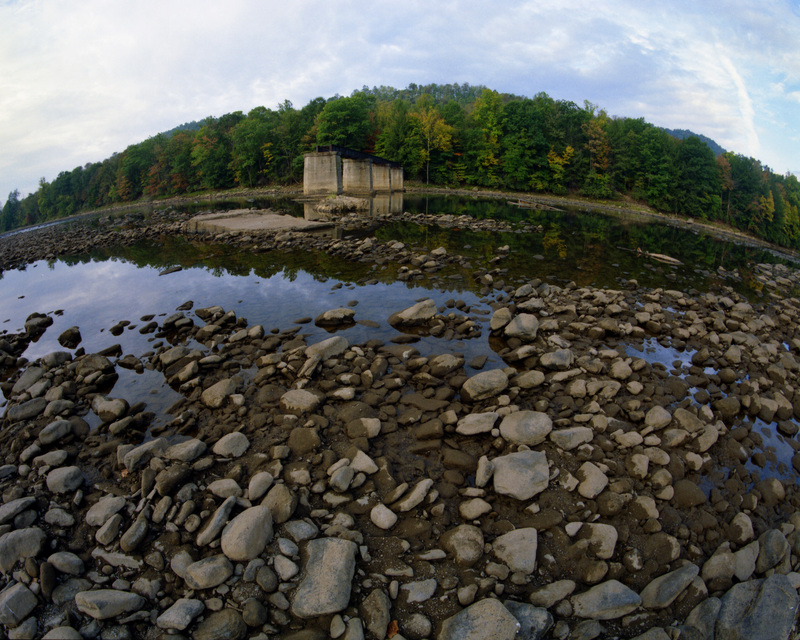 An artist’s rendering of the reuse vision developed by community members at two WV FOCUS-funded stakeholder meetings. Drawing by Mary Luckini.